The organisers of T in the Park have announced plans for a new "grown-up" music festival. 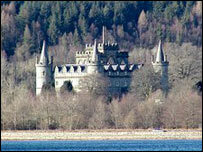 The Connect Music Festival will take place in the grounds of Inveraray Castle next to Loch Fyne in Argyll. 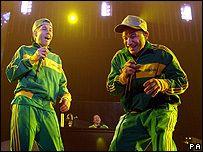 The Beastie Boys, Primal Scream and Bjork have been confirmed for the three-day event at the end of August. Organisers said the event would appeal to the discerning music fan seeking a "chilled atmosphere" and a festival with a little more comfort. Other acts lined up for the event include The Jesus and Mary Chain and Idlewild. More performers are to be announced over the coming months. Connect will also feature local food and drink, comedians and its own Highland games. Unsigned music talent will be able to perform at the Your Sound Bandstand. Geoff Ellis, of organisers DF Concerts, said: "We have felt that there has been a gap in the market for a festival like Connect for some time now and its fantastic to see it come to fruition in such an incredible location. The festival, which takes place from Friday 31 August to Sunday 2 September, will form part of Scotland's Highland 2007 celebrations. Alison Magee, chair of Highland 2007, said: "Connect will bring top-class international acts to perform in the beautiful grounds of Inveraray Castle. "It showcases one of the most stunning locations within the Highlands and Islands to a worldwide audience through a celebration of contemporary and traditional culture." Tickets for Connect go on sale on Friday.